In spite of the great community effort to dismantle and move the hut to safety, nature has had her way and the area where the materials and all of our equipment were stored has been lost to the large seas in mid October. We only discovered this when we went to begin work on the new hut site which had just been approved by the Department of Conservation. We have lost a lot of our outdoor education equipment including, tents, billies and cookers as well as sports gear, life jackets and all the contents of the hut which were stored prior to being flown to the new hut site once we had DoC approval. We have plans and an exemption from consent to construct another hut but unfortunately the Saltwater Lagoon became blocked in April as a result of heavy seas and gravel accumulation. The track around the edge of the lagoon from the Tunnel Creek trackto the hut site is impassable. Mr Hewson has now marked an alternative track through the bush from Tunnel Creek to the hut site which is ready for construction. We have engaged one of our Board Members, Chris McGuigan to oversea the construction with the assistance of our Year 13 Technology students. Site work has begun and the next stage is leveling and setting of the piles and sub floor construction. 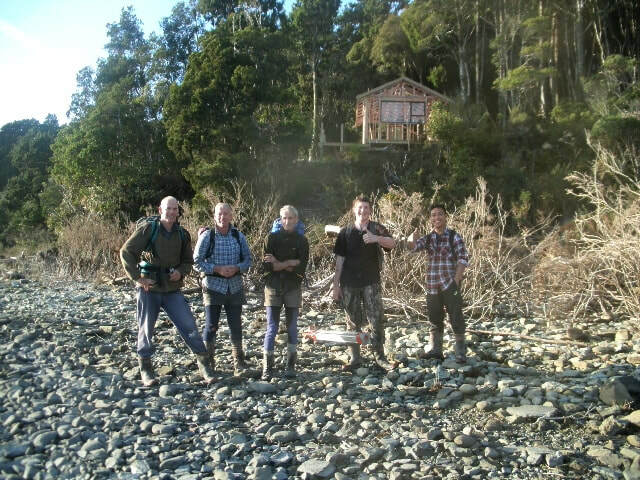 There has been a lot of activity down at the Saltwater Hut site over the last 3 months and great progress made. Chris McGuigan who has been managing the build has put an enormous amount of time into the project. With his small army of volunteers, along with senior Technology students, Joe Glancy, Charles Alsdorf and James Nicolas, the hut is taking shape. 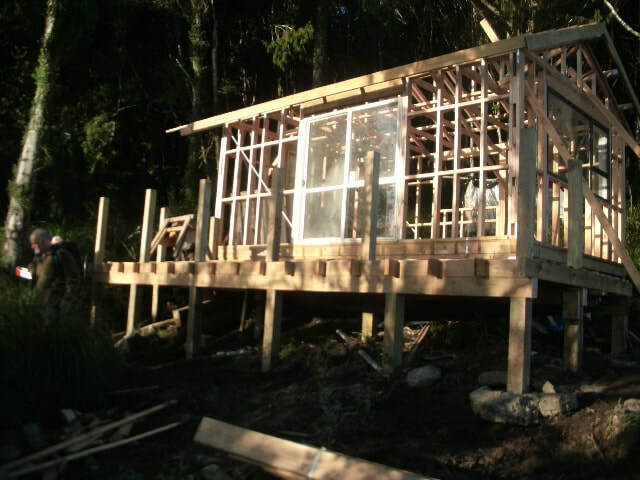 As you can see from the photos, the deck is completed and the next step for the hut is for the iron to be put on and the hut wrapped up and clad. A massive effort. Well done.